I received the nicest card in the mail this week - a thank you from an author whose debut novel I read and reviewed here at Always With a Book. I was so touched that the author took the time to write this to me. In today's age of fast, convenient electronic communication, it's nice to know that the art of letter-writing isn't lost to all. First line: It took a moment for Emily to realize the car had come to a stop. From the back cover: Emily Benedict has come to Mullaby, North Carolina, hoping to solve at least some of the riddles surrounding her mother's life. But the moment Emily enters the house where her mother grew up and meets the grandfather she never knew, she realizes that mysteries aren't solved in Mullaby, they're a way of life: Here are rooms where the wallpaper changes to suit your mood. Unexplained lights skip across the yard at midnight. And a neighbor, Julia Winterson, bakes hope in the form of cakes, not only wishing to satisfy the town's sweet tooth but also dreaming of rekindling the love she fears might be lost forever. Can a hummingbird cake really bring back a lost love? Is there really a ghost dancing in Emily's backyard? The answers are never what you expect. But in this town of lovable misfits, the unexpected fits right in. 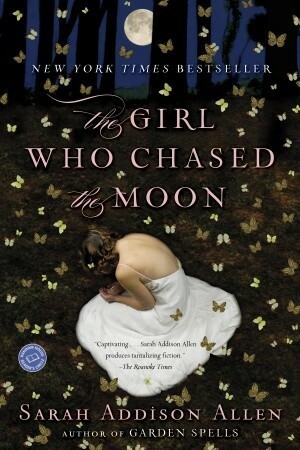 My thoughts: This is the second book by Sarah Addison Allen that I've read and she is quickly becoming one of my favorite authors! I loved this story. It is a light, quick read with just a bit of magic woven throughout - I read it in one afternoon. This fabulous, wonderful, engaging book had me from the first page. It explores how the past and the future can loop and how each new generation has the opportunity to fix old wrongs. There's an element of a fairy tale in Sarah Addison Allen's writing, and yet she manages to tackle some pretty significant issues in this story. And while I am not normally a fan of anything having to do with magic, there is just enough in this book that it almost allows you to suspend reality and believe it could happen. It just has that quality of being a sweet, fairy-tale-like story. I will certainly be picking up more books by Sarah Addison Allen. Have you read anything by her? What's your favorite? "I'm going off to war tomorrow. I might not make it back." 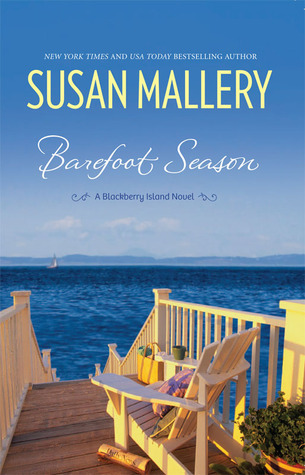 This is the first book in Susan Mallery's newest series: Blackberry Island. I started it yesterday and am loving it! Don't you just love the cover? I would love to have a reading spot like that! Have you read this one yet? 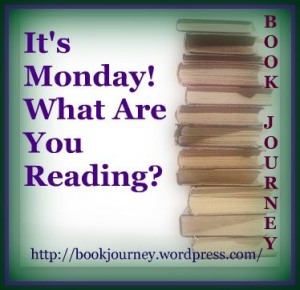 Have you read anything else by Susan Mallery? From the back of the audio case: Workaholic attorney Samantha Sweeting has just done the unthinkable. She's made a mistake so huge, it'll wreck any chance of a partnership. Going into utter meltdown, she walks out of her London office, gets on a train, and ends up in the middle of nowhere. Asking for directions at a big, beautiful house, she's mistaken for an interviewee and finds herself being offered a job as housekeeper. Her employers have no idea they've hired a lawyer - and Samantha has no idea how to work an oven. She can't sew on a button, bake a potato, or get the #@%# ironing board to open. How she takes a deep breath and begins to cope - and finds love - is a story as delicious as the bread she learns to bake. 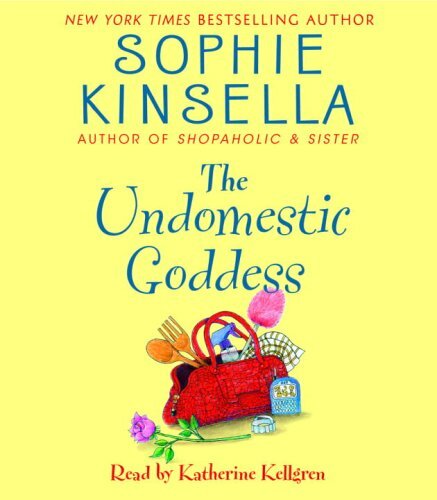 My thoughts: Never have I laughed as much during a book as I did while listening to The Undomestic Goddess. I have read all of Sophie Kinsella's Shopaholic series (which I loved) and have recently started reading some of her other novels. Are they all as funny as this one? 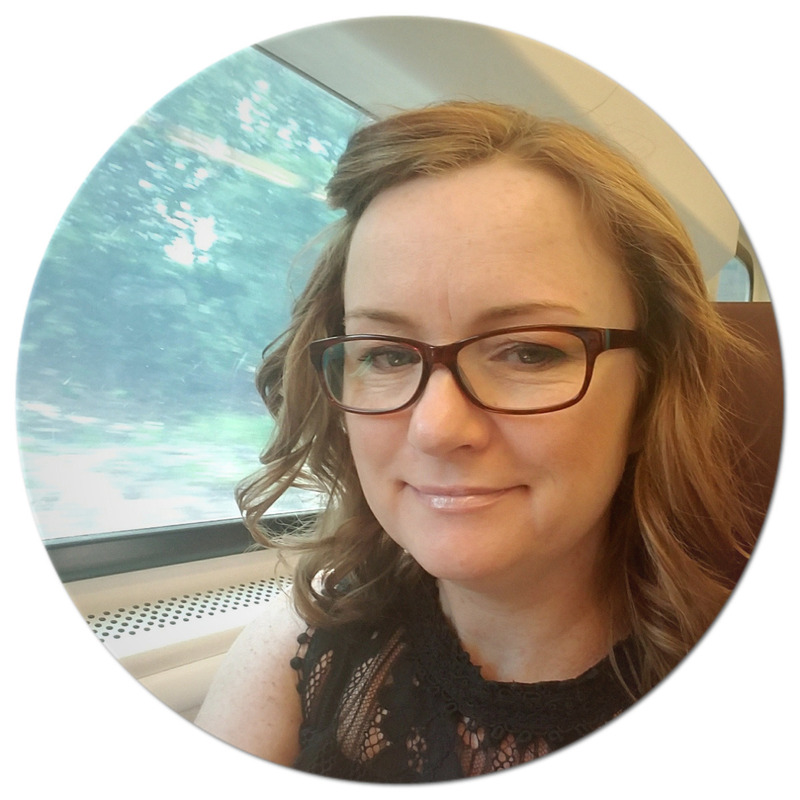 Samantha Sweeting is a workaholic who is soon to be named partner at her law firm. When it appears she has made an epic mistake at work, she finds herself running away from her old life. She takes a bus, gets off on a random stop, and ends up at Trish and Eddie Geiger's house. Through one miscommunication after another, Samantha ends up being hired as a housekeeper. She fails to consider the fact that a housekeeper is expected to cook and clean, something that is low on Samantha's list of qualifications. Cooking to her means "ordering in", and cleaning is something that miraculously has happened when she gets home from the firm and the help has taken care of things. It is one comedy after another as she tries to pass herself off as a gourmet cook. With the help of the good looking gardener Nathaniel's mother, Samantha learns the value of a slower paced life. Samantha ends up on an unexpected journey where she learns some valuable life lessons and realizes her priorities are slowly changing. It is a fun, laugh-out-loud ride that at times, I could totally relate to. I am not much of a cook myself and when I do attempt to make a more sophisticated meal, I find myself at a loss as to what the terms mean. Luckily for me, I married a man who loves to cook - and what a great cook he is! 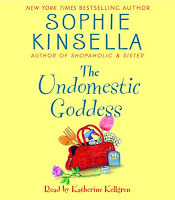 Have you read The Undomestic Goddess yet? Have you read any of Sophie Kinsella's other non-Shopaholic books? Which one(s) would you recommend? Please join me in welcoming Elizabeth Loupas, author of the new book, The Flower Reader to Always With a Book! If you missed my review, you can read it here. Today Elizabeth talks about the how she was able to write like Nostradamus. Two wounds (“classes” is generally taken to be an example of Nostradamus confusing the issue with ancient Greek, in which “klasis” means “fracture”) in one, then to die, a cruel death. 2. His injuries included two splinters from a broken lance, one piercing his throat, the other piercing his eye. 3. His opponent, the Count of Montgomery, was a captain in the king’s Scots Guards—and the heraldic symbol of Scotland is a red lion. 4. The king’s helmet might have had a barred visor resembling a cage, and might have been gilded. He was the king, after all. No one seems to have recorded these details at the time. Coincidences or not, this single quatrain made Nostradamus’ reputation, at the time and down through the ages. So when I began to write about a mysterious silver casket filled with secrets, connected with the French-raised Mary Stuart in Scotland in the 1560s, what else could the secrets possibly be but fictionalized quatrains of Nostradamus? I considered never actually revealing the content of the quatrains—writing in Nostradamus’ style is much trickier than it looks. But then I said to myself, “Self, after readers have followed the mystery of the silver casket through four hundred pages or so of adventures, they have a right to know what’s in the darn thing.” And that’s how the fictional “Quatres-Maris” (“Four Husbands”) prophecies were born. Marriages of royal persons at the time of the story were legitimate political bombshells, and if the notorious seer Nostradamus predicted that Mary Queen of Scots would have four husbands while she was still married to her first one (who just happened to be the King of France), that would indeed be explosive knowledge her political enemies—and friends, for that matter, although in politics does anyone have real friends?—would lie, cheat, steal and kill to possess. I pored over the real quatrains of Nostradamus for a long time, to get the right feel for the prophecies. And I do share them with the reader, in the end. But as to how and why, and who the four husbands are—well, that you will have to find out for yourself. About the author: Elizabeth Loupas lives near the Elm Fork of the Trinity River, halfway between Dallas and Fort Worth, Texas. 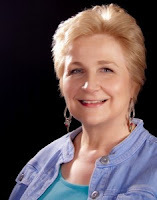 She is presently a novelist, freelance writer and amateur historian. In other times and other places she has been a radio network vice president, a reference librarian, a business-to-business magazine editor, and a tutor in English literature. For more information on Elizabeth Loupas and her novels, please visit her WEBSITE. You can also find her on FACEBOOK and TWITTER. 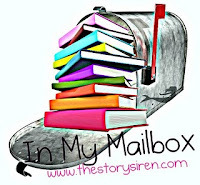 Thank you Elizabeth for contributing this great guest post and thanks to Amy at Historical Fiction Virtual Book Tours for coordinating it. First line: I hated the queen, hated her down to the deepest marrow of my bones. From the back cover: With her dying breath, the queen regent of Scotland entrusts a silver casket to half-Scots, half-French seventeen-year-old Rinette Leslie of Granmuir, who possesses the ancient gift of using flowers to divine the future. Inside the casket, and meant only for young Mary, Queen of Scots, are the darkest secrets of every Scottish lord and explosive private prophecies prepared by Nostradamus himself. Rinette risks her life to keep the casket safe, but she makes one fatal mistake: she shows it to her beloved young husband. On the very day the young queen comes home, Rinette's husband is brutally assassinated. Devastated, Rinette demands justice from the queen before she will surrender the casket. Amid glittering masques and opulent weddings, courtly intrigues and Highland rebellions, the queen's agents and Rinette herself search for the shadowy assassin. They are surrounded by ruthless men from all over Europe who will do anything to force Rinette to give up the casket - threatening her life, stripping her of her beloved castle by the sea, forcing her to marry someone she hates, and driving her from the man she has reluctantly grown to love. In the end, the flowers are all she can trust - and only the flowers will lead her safely home to Granmuir. My thoughts: This is the first book by Elizabeth Loupas I've read and I really enjoyed it. 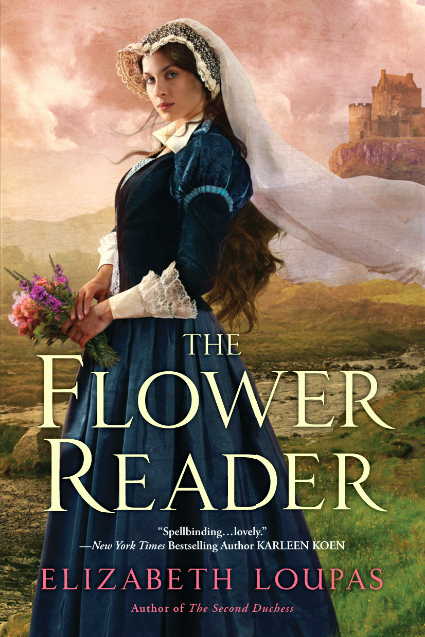 The Flower Reader is set in Scotland during the mid-16th century. 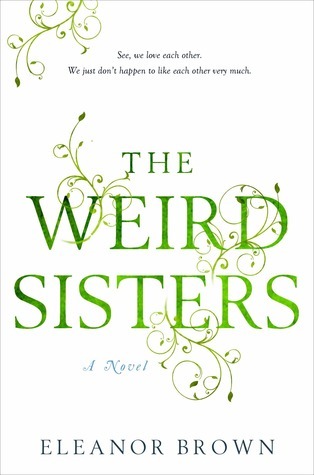 What's interesting to note is that most of the main characters are all fictional and I loved how Elizabeth Loupas included a list of characters right in the beginning of the book, indicating which ones are fictional and which were not - very clever! The Flower Reader is a historical mystery surrounding the court of Mary, Queen of Scots' early years as ruler, bringing to light the power play between the young queen and her various advisors. It is also about Rinette's quest to find justice for her husband's murder. Along the way, she realizes that all is not what it appeared to be when it comes to friends and allies. She is a strong, determined character and while not easily knocked down, does not always come out on top. The intrigue of Nostradamus' predictions and the missing silver casket make you question everyone's motives as suspicious, causing you to keep on reading to find out not only where the casket disappeared to but what the predictions are as well. While at first, the ability to read flowers might seem strange, it worked well within this plot. Rinette can read the future from flowers and sees flowers and their associated personality traits when she looks at someone. She uses this gift to determine who she can trust and who should be avoided. It is this gift that intrigued me enough to want to read this story and I am so glad I did. Elizabeth Loupas does not force this supernatural gift on the readers, but rather intimates it is a gift very similar to just being able to read people. I will definitely be picking up Elizabeth Loupas's other novel, The Second Duchess, as I enjoyed her writing style in The Flower Reader. It is very clear that a lot of research and details went into the creation of this book. How do you feel about lists of characters included in books? Does it help or hinder in your reading? 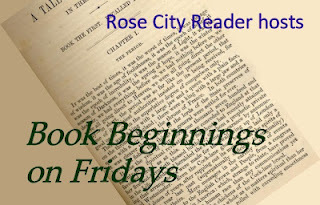 I received a complimentary copy of The Flower Reader by Elizabeth Loupas from Amy at Historical Fiction Virtual Book Tours. Thanks to all who shared advice on how to get audio books from library to ipod - I was able to do it...and it seemed to work!!! Now I will be able to listen to a book while I'm walking either on the treadmill at the gym or if it's nice, outside. 2012 Audio Book Challenge - signing up a little late! 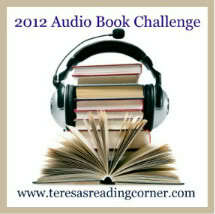 2012 Audio Book Challenge - Better late than never!!! The Audio Book Challenge is hosted by Teresa's Reading Corner, and it goes from January 1, 2012 through December 31, 2012.I participated in this challenge last year and ended up surpassing my first goal (listen to 6 audio books) and second goal (20 or more) - I ended the year having listened to 23 audio books. I'm joining at the Lover level, which means I need to listen to at least 25 audio books in 2012. I'll keep track of them here. 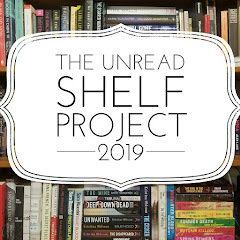 ***I'm joining this challenge late...but have already listened to 7 audio books so far this year and have decided to include them. 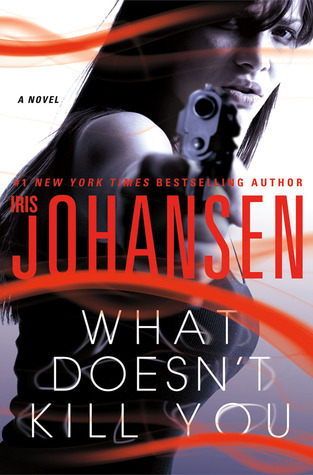 This is Iris Johansen's newest book, part of what FictFact is calling the Catherine Ling series. As soon as it was in the library system, I reserved it. It came in this past week and I am currently reading it (and loving it!!!). This is the first book in Susan Mallery's newest series, Blackberry Island. I downloaded this from the library and put on my ipod - thanks to all who offered their help last week on how to do this!!! This is the latest in Josi S. Kilpack's Culinary Mystery series. First line: Walt Booth was feeling lonely. Synopsis from B&N: Marine corporal Rick Sudder is home early from Iraq—his tour ended abruptly on the battlefield. The carefree boy is gone, replaced by a man who believes his future is as bleak as his mirror image. But can the passion and commitment of a young woman who has never given up on him mend his broken body and shattered heart? 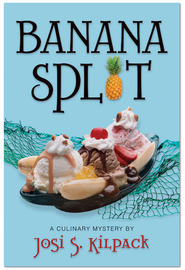 My thoughts: This is the 7th book in Robyn Carr's Virgin River series. I am loving this series and love getting to know all the inhabitants of Virgin River. If you haven't read this series yet, I highly recommend it, but I would strongly recommend reading them in order as the characters grow from one book to another and many of the stories are carried over. Paradise Valley centers around four couples - Rick and Liz, Abby and Cameron, Dan and Cheryl, and Muriel and Walt. Rick is wounded in Iraq and returns a bitter, sullen young man, shunning all who care about him, including Liz and Jack. Dan Brady, who we have met in earlier books only as Shady Brady shows up after having turned himself in and served his time, and ends up making a connection with Cheryl Creighton, the former town drunk who has completed rehab and is living a sober life. Dr. Cameron Michaels ends up in Virgin River after having a really brief affair with Vanni's friend Abby with unexpected consequences. Walt is struggling with being separated from Muriel, who is in Montana filming a movie. The theme of Paradise Valley is about rebuilding from a damaged background - Dan and Cheryl are coming back from some painful experiences and Rick is back in California recovering from a war injury. A point in Robyn Carr's favor is that the characters do not easily bounce back. Instead there is struggle and while the book ends with hope, it is clear the characters are due for more work in their individual futures. I am looking forward to picking up the next in this series - perhaps we will see more of Dan and Cheryl? Or maybe a new person will be moving to this idyllic little town. Have you read this series? Do you have a favorite character? Jen from Devourer of Books has announced the dates for 2012 Audiobook Week - June 25 - 29. 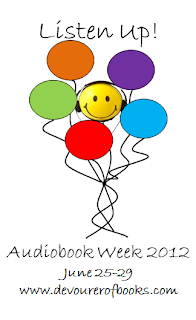 This is a fun week that celebrates audiobooks. There will be discussion posts, reviews, and giveaways!!! I hated the queen, hated her down to the deepest marrow of my bones. I have about 100 pages left in this and am having a hard time putting it down. It's filled with mystery and intrigue and of course, life at the Scottish courts. I will be posting my review and a guest post by Elizabeth Loupas next week as part of the blog tour. Have you read this one yet? Giveaway Reminder - LAST DAY TO ENTER!! !